The words friends-and-family sale season are music to our ears, and we're hearing a lot of music lately because of it. The latest sale to crop up is one of our favorites: Need Supply Co. From now until Friday, October 13, at 11:59 p.m. EDT, everything on the site is 20% off (exclusions here), so that means items that are rarely discounted, like Simon Miller Bonsai bags, Ganni graphic tees, and J.W.Anderson shoes can be yours for 20% less than usual. One of the many things that Need Supply Co.'s buyers excel at is sourcing some of the prettiest pieces on the market, and because we all deserve something pretty every once in a while, we rounded up 13 of the prettiest pieces to shop from Need Supply Co.'s mind-blowing friends-and-family sale. 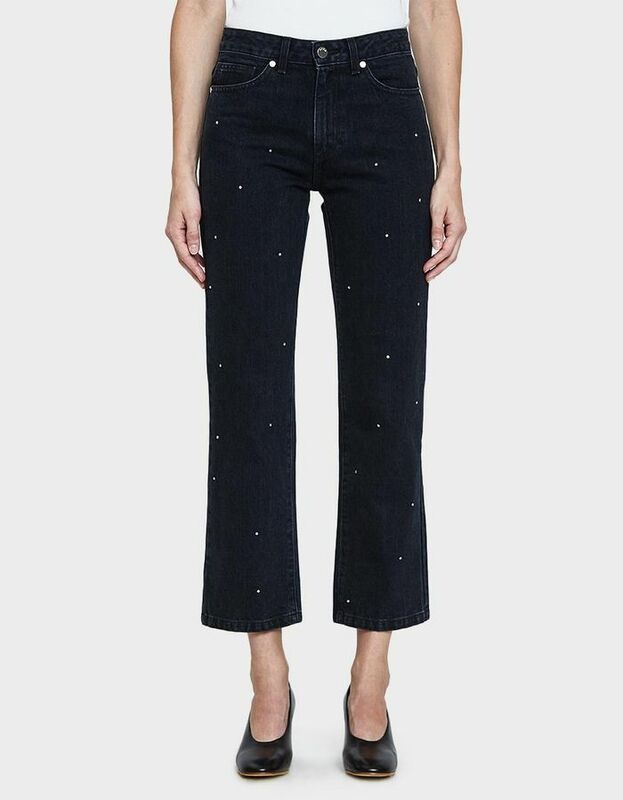 We didn't realize we needed jeans covered in rhinestones, but we definitely do. This pretty bag would look perfect with kitten heels. Your high-waisted jeans need this velvet top. Holiday party season is coming. We can tell you from experience that these heels are very comfortable. The sheer trend isn't going anywhere, folks. How pretty is this print? Plan on wearing this sweet red top a lot this fall. Who wouldn't compliment these cool mules? Pair these with your favorite tees, bodysuits, and heels. This top is practically a work of art. Meet the newest member of your sneaker collection. Found: the perfect dress to wear to fall weddings. Next, check out the prettiest flat shoes we've seen all year.